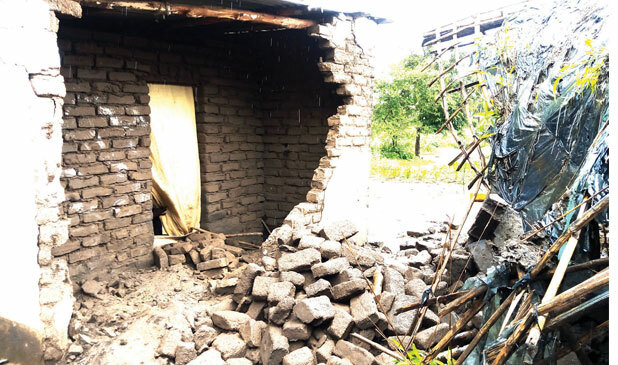 Some flood survivors at some evacuation camps in Mangochi District have gone back to their homes without finding a solution to housing challenges that expose them to natural disasters. As at now, four of the seven evacuation camps set up in Mangochi have been closed. Mangochi District Disaster Management Officer, Carol Mirinyu, confirmed that four camps where 1,514 survivors were being housed have been closed. “Out of 1,777 people who were displaced in the district, only 263 people are still at three camps in the area of Traditional Authority Chimwala. Camps of Changali, Chapola and Chisawa have 4,344 and 176 people, respectively,” Mirinyu said. Milinyu said there was need to continue monitoring the situation of people that have gone back home to assess their needs. Senior Chief Chimwala appealed to authorities to come to the rescue of those still in camps so that they could return to their homes. The government recently announced that it would channel part of decent and affordable housing programme resources to flood survivors. However, the Ministry of Lands, Housing and Urban Development is yet to incorporate the flood survivors into the existing Malata Subsidy Programme. A report by the Department of Disaster Management Affairs indicates that stakeholders require about K18.9 billion to bail disaster stricken people out of their problems.